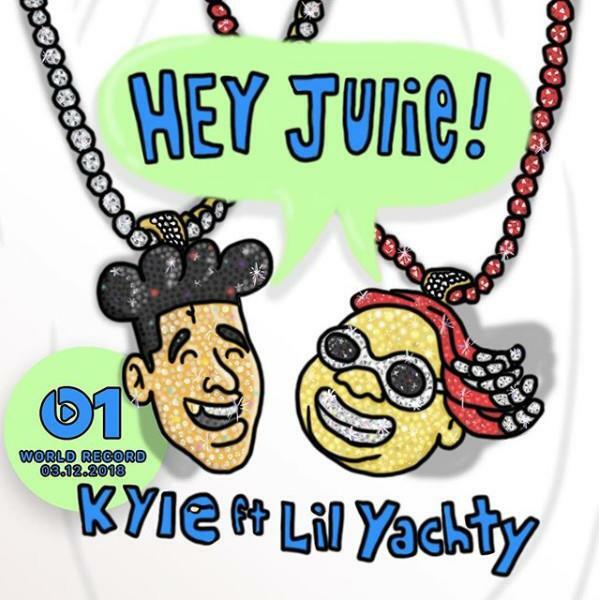 Kyle Recruits Lil Yachty For Infectious New Single "Hey Julie!" Home>New Songs>Kyle Songs> Kyle Recruits Lil Yachty For Infectious New Single "Hey Julie!" Kyle and Lil Yachty have themselves a new feel-good hit. For weeks, Lil Yachty and Kyle have been teasing their new collaboration on their socials and during shows, playing "Hey Julie" to crowds that already know all of the lyrics. We don't blame them either; this is easily one of the catchiest hooks we've heard in a while. Kyle and Yachty have worked together in the past, dropping off infectious efforts like "iSpy." We've been waiting for their next team-up and it's finally arrived by way of a premiere on Zane Lowe's Beats 1 Radio show. "Hey Julie" has been stuck in my head for weeks and finally, it has been released for us all to repeat over and over. Kyle has a penchant for memorable hooks, proving to be one of the best writers in the business. Whether it's the Kehlani-featured "Playinwitme" or another of his catchy appearances, the man knows how to get something to stick. "Hey Julie" is the latest in his string of hits with Lil Yachty, marking the establishment of their feel-good tag team. An ode to his jeweler, Super Duper Kyle sings, "Hey Julie, heard you got that drip drip drip drip/ Something for my wrist wrist wrist wrist." The track is out now on streaming. Let us know your thoughts. SONGS Kyle Recruits Lil Yachty For Infectious New Single "Hey Julie!"